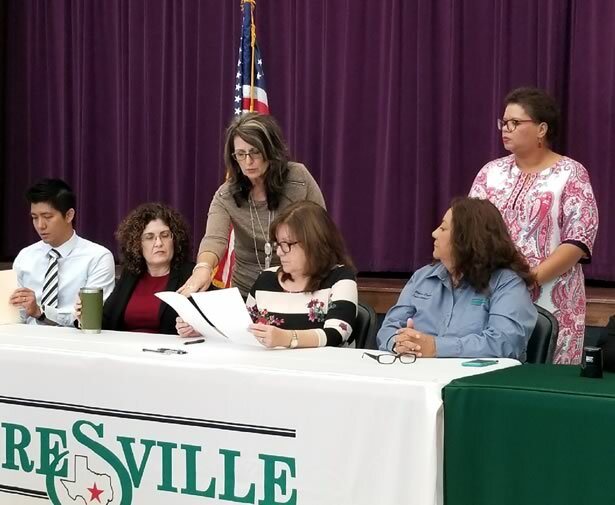 Floresville Mayor Cissy Gonzalez-Dippel signs documentation December 20 to close a $3.7 million loan from the U.S. Department of Agriculture for a major water system improvement project. The signing, which took place at the Lauro G. Deleon Floresville Event Center, moves the City one step closer toward beginning construction on the project. The City Council approved issuance of utility bonds to repay the loan at a March 2016 meeting.